Image processing and analysis are generally seen as operations on two-dimensional arrays of values. There are however a number of fields where images of higher dimensionality must be analyzed. Good examples of these are medical imaging and biological imaging. numpy is suited very well for this type of applications due its inherent multi-dimensional nature. 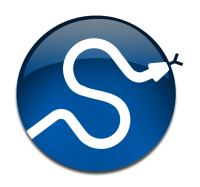 The scipy.ndimage packages provides a number of general image processing and analysis functions that are designed to operate with arrays of arbitrary dimensionality. The packages currently includes functions for linear and non-linear filtering, binary morphology, B-spline interpolation, and object measurements. In previous versions of scipy.ndimage, some functions accepted the output_type argument to achieve the same effect. This argument is still supported, but its use will generate an deprecation warning. In a future version all instances of this argument will be removed. The preferred way to specify an output type, is by using the output argument, either by specifying an output array of the desired type, or by specifying the type of the output that is to be returned. however, using the origin parameter instead of a larger kernel is more efficient. For multi-dimensional kernels origin can be a number, in which case the origin is assumed to be equal along all axes, or a sequence giving the origin along each axis. The function correlate implements multi-dimensional correlation of the input array with a given kernel. The function convolve implements multi-dimensional convolution of the input array with a given kernel. The gaussian_filter function implements a multi-dimensional Gaussian filter. The standard-deviations of the Gaussian filter along each axis are passed through the parameter sigma as a sequence or numbers. If sigma is not a sequence but a single number, the standard deviation of the filter is equal along all directions. The order of the filter can be specified separately for each axis. An order of 0 corresponds to convolution with a Gaussian kernel. An order of 1, 2, or 3 corresponds to convolution with the first, second or third derivatives of a Gaussian. Higher order derivatives are not implemented. The order parameter must be a number, to specify the same order for all axes, or a sequence of numbers to specify a different order for each axis. The multi-dimensional filter is implemented as a sequence of one-dimensional Gaussian filters. The intermediate arrays are stored in the same data type as the output. Therefore, for output types with a lower precision, the results may be imprecise because intermediate results may be stored with insufficient precision. This can be prevented by specifying a more precise output type. The uniform_filter implements a multi-dimensional uniform filter. The sizes of the uniform filter are given for each axis as a sequence of integers by the size parameter. If size is not a sequence, but a single number, the sizes along all axis are assumed to be equal. The multi-dimensional filter is implemented as a sequence of one-dimensional uniform filters. The intermediate arrays are stored in the same data type as the output. Therefore, for output types with a lower precision, the results may be imprecise because intermediate results may be stored with insufficient precision. This can be prevented by specifying a more precise output type. The minimum_filter function calculates a multi-dimensional minimum filter. Either the sizes of a rectangular kernel or the footprint of the kernel must be provided. The size parameter, if provided, must be a sequence of sizes or a single number in which case the size of the filter is assumed to be equal along each axis. The footprint, if provided, must be an array that defines the shape of the kernel by its non-zero elements. The maximum_filter function calculates a multi-dimensional maximum filter. Either the sizes of a rectangular kernel or the footprint of the kernel must be provided. The size parameter, if provided, must be a sequence of sizes or a single number in which case the size of the filter is assumed to be equal along each axis. The footprint, if provided, must be an array that defines the shape of the kernel by its non-zero elements. The rank_filter function calculates a multi-dimensional rank filter. The rank may be less then zero, i.e., rank = -1 indicates the largest element. Either the sizes of a rectangular kernel or the footprint of the kernel must be provided. The size parameter, if provided, must be a sequence of sizes or a single number in which case the size of the filter is assumed to be equal along each axis. The footprint, if provided, must be an array that defines the shape of the kernel by its non-zero elements. The percentile_filter function calculates a multi-dimensional percentile filter. The percentile may be less then zero, i.e., percentile = -20 equals percentile = 80. Either the sizes of a rectangular kernel or the footprint of the kernel must be provided. The size parameter, if provided, must be a sequence of sizes or a single number in which case the size of the filter is assumed to be equal along each axis. The footprint, if provided, must be an array that defines the shape of the kernel by its non-zero elements. The median_filter function calculates a multi-dimensional median filter. Either the sizes of a rectangular kernel or the footprint of the kernel must be provided. The size parameter, if provided, must be a sequence of sizes or a single number in which case the size of the filter is assumed to be equal along each axis. The footprint if provided, must be an array that defines the shape of the kernel by its non-zero elements. The fourier_shift function multiplies the input array with the multi-dimensional Fourier transform of a shift operation for the given shift. The shift parameter is a sequences of shifts for each dimension, or a single value for all dimensions. The fourier_gaussian function multiplies the input array with the multi-dimensional Fourier transform of a Gaussian filter with given standard-deviations sigma. The sigma parameter is a sequences of values for each dimension, or a single value for all dimensions. The fourier_uniform function multiplies the input array with the multi-dimensional Fourier transform of a uniform filter with given sizes size. The size parameter is a sequences of values for each dimension, or a single value for all dimensions. The fourier_ellipsoid function multiplies the input array with the multi-dimensional Fourier transform of a elliptically shaped filter with given sizes size. The size parameter is a sequences of values for each dimension, or a single value for all dimensions. This function is only implemented for dimensions 1, 2, and 3. The spline_filter function calculates a multi-dimensional spline filter. The multi-dimensional filter is implemented as a sequence of one-dimensional spline filters. The intermediate arrays are stored in the same data type as the output. Therefore, if an output with a limited precision is requested, the results may be imprecise because intermediate results may be stored with insufficient precision. This can be prevented by specifying a output type of high precision. Following functions all employ spline interpolation to effect some type of geometric transformation of the input array. This requires a mapping of the output coordinates to the input coordinates, and therefore the possibility arises that input values outside the boundaries are needed. This problem is solved in the same way as described in Filter functions for the multi-dimensional filter functions. Therefore these functions all support a mode parameter that determines how the boundaries are handled, and a cval parameter that gives a constant value in case that the ‘constant’ mode is used. The grey_erosion function calculates a multi-dimensional grey- scale erosion. The grey_dilation function calculates a multi-dimensional grey- scale dilation. The extrema function calculates the minimum, the maximum, and their positions, of the elements of the object with label(s) given by index, using the labels array for the object labels. If index is None, all elements with a non-zero label value are treated as a single object. If label is None, all elements of input are used in the calculation. The result is a tuple giving the minimum, the maximum, the position of the minimum and the postition of the maximum. The result is the same as a tuple formed by the results of the functions minimum, maximum, minimum_position, and maximum_position that are described above. C callback functions for use with ndimage functions must all be written according to this scheme. The next section lists the ndimage functions that acccept a C callback function and gives the prototype of the callback function.